RINGO STARR <3. 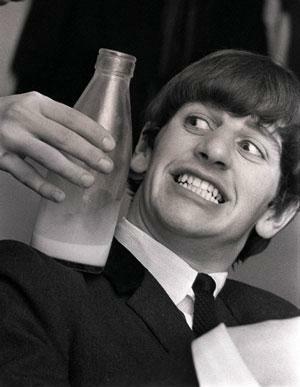 Ringo and his crazy smile XD. Wallpaper and background images in the Ringo Starr club tagged: ringo richard starkey ringo starr the beatles milk crazy smile. Funny pic of Ringo with glass eyes! Remember this car. . . ? He looks like he's about to kill the milk. 0_0 Muahahaahahahaah!